A man talked to another man who was busy in watching TV. “Rishi bhaiya, will you come outside and join us both in the pool party? Only you, Tanuja bhabhi, me and Avni would be there, come na please bhaiya,” he said almost pleading. Rishi muted the TV for the time being. “No Vyom, I want to watch this movie, it’s quite interesting, you can go taking Avni,” Rishi replied and unmuted the TV. Vyom went to the woman beside Rishi. “No, I m scared of water,” Avni said still videotaping him in the camera. He looked directly at the camera. “Oho Avni, I m there na, come na yaar,” he said and she agreed. “Ok.” She kept the camera on the floor and sat beside him dipping her feet in the pool. He gave her the drug mixed drink and he drunk the wine while she sipped the drink. When they were done, they both started to lose their senses. He eyed Avni and giggled. “Avni, you aren’t scared, are you?” Vyom asked and she shook her head. He pushed her in the pool and laughed. “Vyom what are you doing?” Avni said while drowning while he laughed. “No cheating yaar Vyom, give me your hand, please,” she said in the affect of drug. He forwarded her hand and as she got hold of his hand, he pushed her more in the water, she gurgled and he too jumped in the pool and wrapped his arms around her tummy, he both dunk more in the water and he twirled her towards him and joined his lips with hers distracting her from drowning. He wrapped his arms around her waist and pulled her close. He twirled her once again in the pool and kissed her neck and as she started to lose her senses more and more, he pushed her away letting her drown and she sunk deeper in the water till she finally went unconscious in the pool. He pulled his feet out of the pool smiling evilly and stood up, now only his feet could be seen in the camera. He knelt on the floor keeping his palms on the floor and bent making his face visible in the camera. He smiled evilly tilting his face looking directly at the camera and went from there. “What the hell? She was actually killed and didn’t kill herself?” he said to himself and held his head looking down. He went to Facebook and signed in and searched for Nandini Khanna. He found her and sent her the video. He wrote a message, “shocking video.. Avni didn’t kill herself but she was actually killed.” He pressed the send button and sat back, his gaze went on her cupboard once again and he stood up and opened it. He looked at all the clues (diary, English and Hindi poem diaries) and decided to recheck them. He got those three things to the bed and first he checked the diary from the start but ended to recheck at the last page of the diary. He got a note folded neatly. There used to be days that I thought I was okay or at least that I was going to be. We’d be hanging out somewhere and everything would just fit right and I would think ‘it will be okay if it can just be like this forever’ but of course nothing can ever stay just how it is forever. I sometimes stare into fire or into the night sky alone and wish for a girl or my situation to be different. Then I also think why would God who created the beautiful earth let humans suffer and act the way they do. But I then realize that God has left me a long time ago. This is the reason why I do not.live my life for Him. Because in the end the only God who is always guaranteed to call for you by name, is Death. I don’t want to hurt you or anybody so please forget about me. Just try. Find yourself a better friend. This is what I want so don’t be sad. And I wanted to tell you about everything but I couldn’t because I couldn’t stand for you to have that look on your face all the time. I just needed you to look at me and think that I m normal. I just really needed that from you. I’m quite a suicidal person, I keep cutting myself, I might seem to be really happy but I m not because my own family died because of the people with whom I m living and I have decided not to live anymore with them and join my parents in the afterlife and live happily. That’s why I am taking such a big step. I am going to put myself to sleep now for a bit longer than usual. Call it Eternity. I feel certain that I m going mad again. I feel we can’t go through another of those terrible times. And I Shan’t recover this time. I begin to hear voices, and I can’t concentrate. So I m doing what seems the best thing to do. You have given me the greatest possible happiness. You have been in every way all that anybody could be. I don’t think two people could’ve been as happier as us but I can’t fight any longer. I know that I m spoiling your life, that without me you could continue with everything and you will I know. What I want to say is I owe all the happiness of my life to you. You’ve been entirely patient with me and incredibly good, you accepted me the way I was, since I got to know about these people’s doings, I m cutting myself daily but today I just can’t take it. I don’t want to stay in this cruel world, last night in the recorded video,all I wanted to say was I m going to suicide, good bye, I will miss you there. Neil sighed after reading the letter. “Avni! Avni yaar it’s enough of you hiding from me, you were right, your breathes have been stopped but still your heart beats, tell me what is the actual story behind this suicide, Avni!” he said calling out for her and then shook his head in disbelief as he saw no sign of her. A page fell from the English poem diary and he was about to read it but he felt ice cold hands on his eyes. “Avni?” he said and soon the hands were no more there on his eyes but his shoulders. He felt a kiss on his cheek and turned to meet his gaze with her. 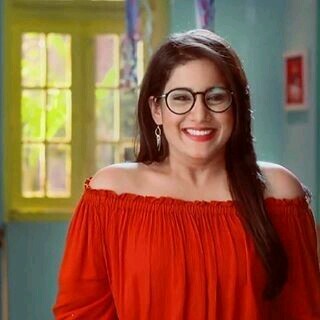 The post AvNeil Horror Ff: Ghost Girlfriend (12~Letter And Comeback) appeared first on Telly Updates.